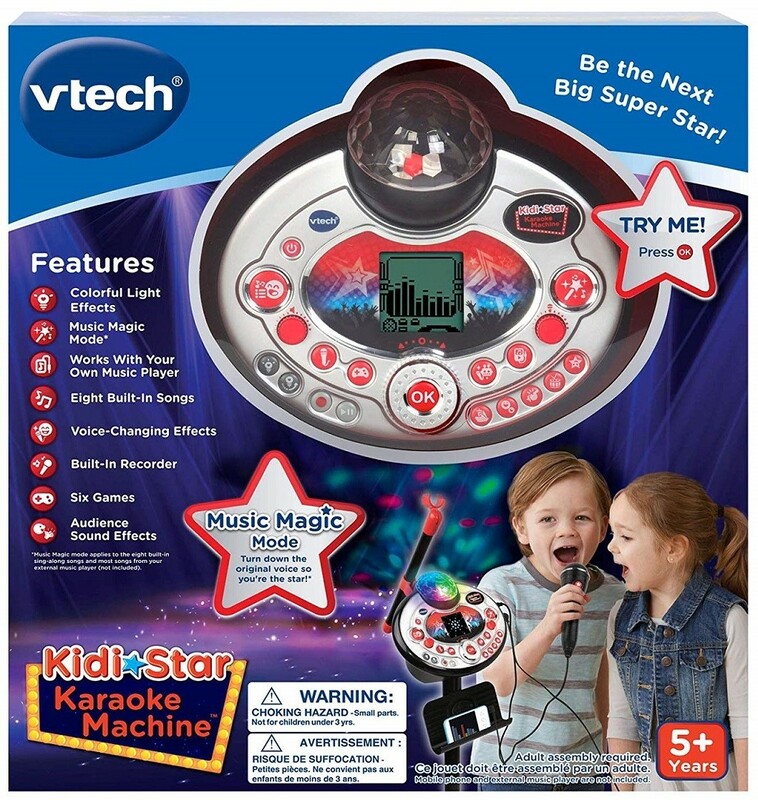 Take center stage and sing like a star with the Kidi Star Karaoke Machine from VTech! 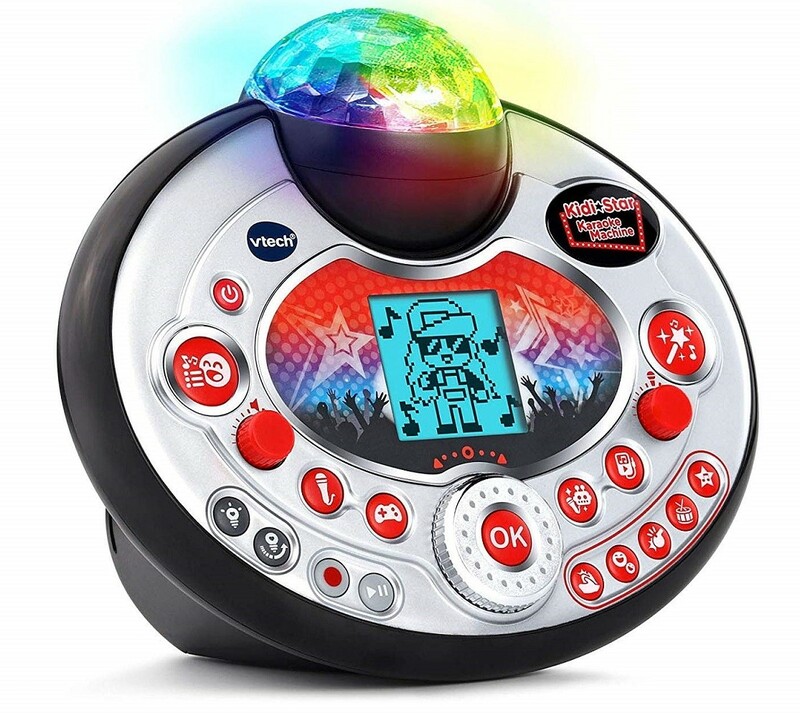 Grab the microphone and use Music Magic mode to turn down the main vocal track of your favorite songs so you can be the star with your very own kids karaoke machine. Easily connect your MP3 player or mobile devices with the included audio cable and play favorite tunes from your own collection or sing along to the eight original songs. 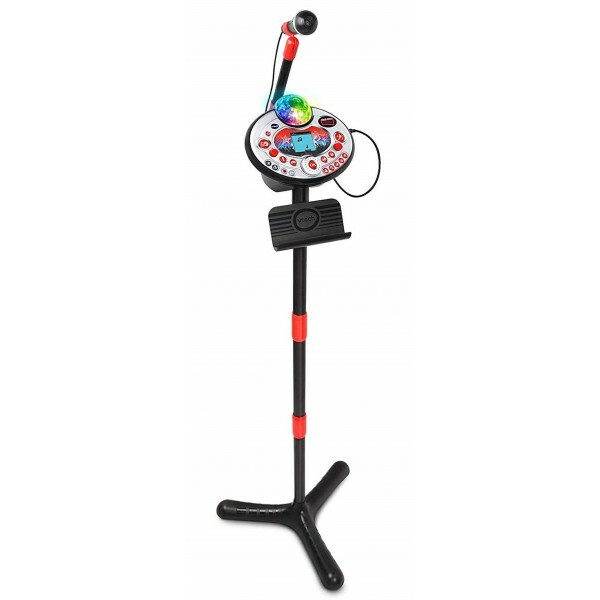 Twist the disco light 180 degrees for colorful light effects that create a great atmosphere for singing and dancing. Add audience sounds like applause, cheering and laughter so it really feels like you're onstage at a concert! Record yourself for up to five minutes and add fun voice-changing effects, then listen to and enjoy your performance. It's your time to shine!